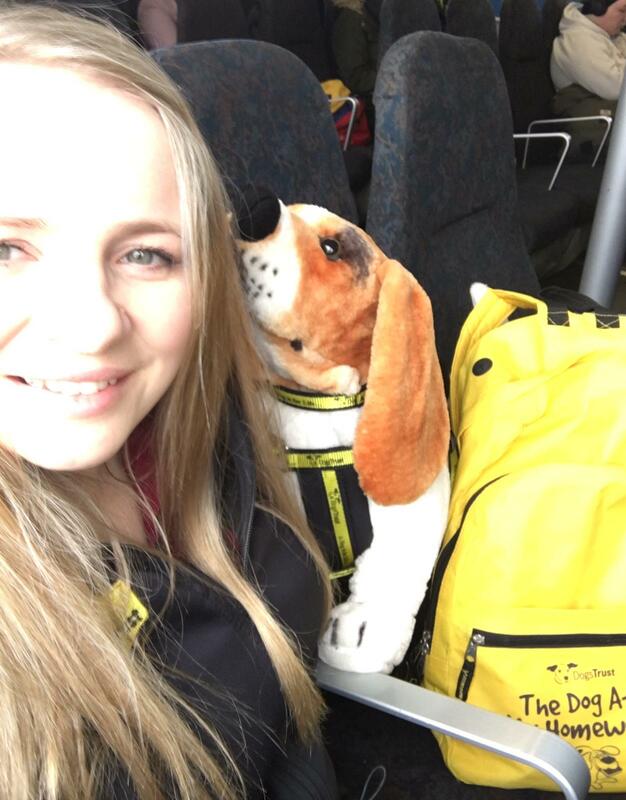 As you may or may not know, our team of six education officers visit schools across the country delivering free workshops on responsible dog ownership, and safety. We’ve visited large schools and small schools. We’ve visited Educate Togethers, and Gaelscoils, but last week our Connacht officer Aoife did something that none of us have ever done before. 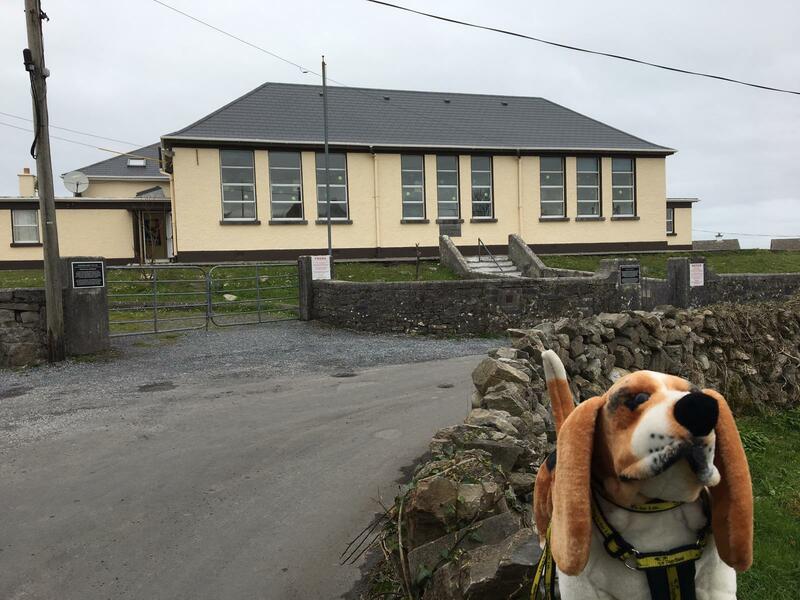 She visited an island and met with the pupils of Scoil Rónán and Scoil Eoin Póil on Inis Mór. Inis Mór is the largest of the Aran islands, with a population of roughly 900 people. There is no bridge to this island, so visitors must take a boat, which is exactly what Aoife did on Thursday, March 21st. She got up nice and early, drove to the town of Ros an Mhíl in Connemara, and hopped aboard Draíocht na Farraige (which means Magic of the Sea). An hour later she (and her trusty companion Bruce) arrived at the island and was given a warm Failté (welcome). 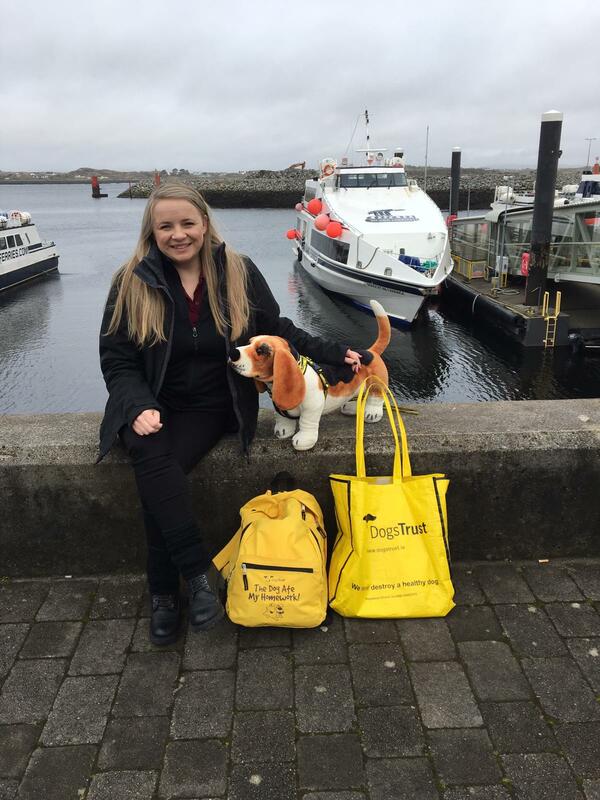 The Aran islands are in the Gaeltacht, and so Irish is the main language here, so Aoife was able to deliver her workshops in their native tongue. Aoife’s Irish is stellar, but she told us on her return, that she learnt as much Irish from the children, as they learnt about dogs from her. Aoife delivered two workshops to the schools, who had come together for the special occasion. She delivered one workshop to the junior cycle, and another to the senior. She was delighted to discover that the island has a healthy population of dogs, and indeed island life seems to really suit the dogs, with lots of space and fresh air to run around in. That being said, it is still important for everyone to know about responsible dog ownership, and to know all about being safe around dogs. The island is famous all over the world for its natural beauty and historical significance, so it is just as important here for residents to “Scoop the Poop” as it is on the busy streets of Dublin. 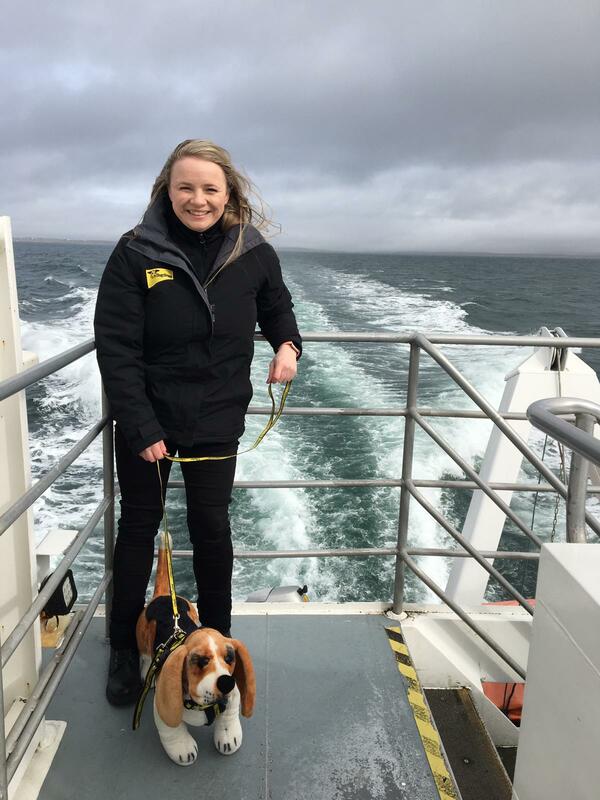 Aoife had a wonderful afternoon with the islanders and came back to the mainland on a different ferry, the Ceol na Farraige (Music of the Sea). With a sea breeze in her face, she was delighted to have delivered our workshops to a corner of Ireland they had not yet reached. If you would like one of education officers to visit your school (don’t worry, you don’t have to be on an island) head to our main website and send your local education officer an email. Who knows, perhaps we’ll get a chance to visit the other Aran islands, and Valentia, and Achill, and Bere, Oh my!